We wanted to share some interesting facts. This new moon will be a micro moon. The moon will be the furthest in its orbit (apogee) from earth. Legends associated micro moons with increased issues with mental illness, and natural disasters are more likely. It will be interesting to see if this legend holds any truth. We also note that the tides will be affected less by the Moon and Sun during the micro moon as the Moon is further away and has less influence. As a result, the tides can be up to two inches less under this micro moon influence. 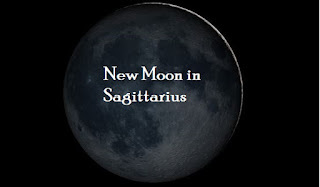 The New Moon, as mentioned in previous posts, are about new starts. They are the time of planting new personal seeds. 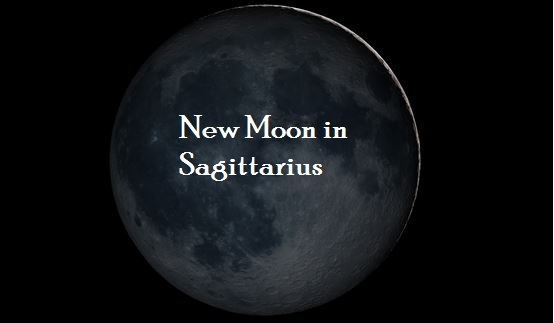 This New Moon in Sagittarius speaks in terms of optimism and positive changes. There are no challenging transiting aspects to this placement currently. This positioning is part of a Stellium with the Sun, (Moon), Saturn and Venus. As result of this Stellium, there will be a heavy influenced of the energies of Sagittarius. The Sagittarius New Moon (at 1:30 a.m. EST December 18, 2017) will be 26 degrees. Venus is at 21 degrees while Saturn is at 29 degrees, all in Sagittarius. Saturn is in the final degree of Sagittarius and will move into Capricorn on December 21, 2017. Many Astrologers have noted that any planet in its final degree of any sign signifies a degree of urgency linked with the energies of the sign, its sign position and also the house which it is located in. Venus has an affiliation with love and romance, often with money and things of beauty. In general, Venus is a very favourable planet. When linked with the Moon and the Sun, there is a likelihood of a union, potentially involving love and affection. It can be friendship and does not necessarily have to be romantic in nature, but the potential for love and affection is very high. Saturn can bring security and stability into the picture and also makes the relationship serious, even commitment oriented (if this is in connection with a love relationship). Saturn could have the same effect on friendships of significance and also finances, under this influence. Review your chart or consult an Astrologer to see what house is being influenced to obtain a better feel for what these energies may be indicating. Uranus is also tied into this configuration by trine. Uranus is at 24 degrees in the sign of Aries. 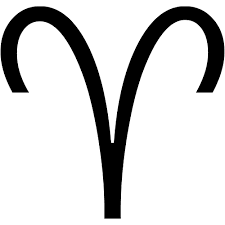 Aries likes to move forward and take a leading role in situations. Uranus often speaks of new starts and a push in new directions. Uranus is the awakener of the Zodiac and pushes for change and stimulates us to push forward on a path that might not have been in place before this influence. Sometimes the changes stimulated by Uranus are unexpected and erratic, but when in trine to this position, it proposes positive change and a path often leading to better things. Attitude will play an important part of what is taking place as Mercury although almost out of its orb of influence is also in Sagittarius at this time. Sagittarius is a sign linked to religious beliefs, philosophy and higher learning often from a spiritual perspective. It is often accompanied by positivity and a broad outlook. Although Saturn is involved in the process, the perspective should not be narrow in any way although it might be somewhat changeable. Sagittarius wants to explore new horizons and Uranus pushes for something new to come out of these changes that are often a requirement of the soul’s contract. This whole process looks very promising and offers possibilities that should be explored. See where this takes you. As always, much will depend on the overall condition of this placement when linked to the natal chart. The natal chart always tells the full story.